Your journey could encourage, enlighten and inspire others. This is a small story-bank of tears and fears, loss and gratitude, of love and joy and most of all, of hope. Share with us if you have a story too. My husband died in 2006 after a two-year battle with cancer and I was bereaved at 34. Our daughters were just 6 and 8 years old. Immediately after his burial, I felt a whole rush of emotions – anger, denial, betrayal, distress and paralysis. I first found out about Wicare through a flyer. I went to my first Wicare gathering where I was introduced to a group of young widows. It was a surprise. I never knew that there were many like me. It was the first time in a long time that I did not feel alone. It was also the first time I felt I had found a group where people understood my immense grief. I met so many lovely people through Wicare and made some good friends, such as Joan who has stood by me all this time; Joyce who continues to motivate me with her insights and Poh Hong, who has taught me unforgettable skills, such as looking at life through a child’s eyes. Wicare continues to be an important anchor in my life journey. I have personally benefited from many of their activities, workshops and talks. A firefly tour in JB gave me courage to travel with my girls for the first time after my bereavement. A session I attended conducted by Mr Danny Ng, a clinical psychologist taught me how important it was bond with my younger children now, rather than later. My struggles as a single working mum continues, with a busy schedule and financial challenges but I am strengthened to move on because I know I am part of a community who are healing together and spurring each other on to rebuild our lives. I have had so much support, love, understanding and attention from my friends in Wicare. I am learning to live again. Two weeks after my husband passed on, I was introduced to Susan, a member of Wicare by a colleague. I was encouraged by her sharing and how Wicare had helped her. At Susan’s invitation, I started to attend activities organised by Wicare. I did not know what to expect. At the first session, I met widows of different ages and family situations. Some were recently widowed, some had walked the path for many years and some lost their husbands under tragic circumstances, like me. It was a relief to find lots of people who knew exactly what I was going through. Being able to talk to others in similar circumstances allowed me to do more than just wear the mask that became part of my every day wardrobe. I was deeply encouraged and found a renewed hope in life. I told myself, ‘If they can do it, so can I’. I began to feel less alone. I have rebuilt my life – the grief journey is one of loss and great transformation. There is life after death – one step at a time. I continue to attend Wicare sessions and have benefited from the practical advice given by other widows who have also single-handedly raised young children. Wicare has given me hope in life again, practical advice for daily challenges, and most importantly, lifelong friends in the process. I thank God for leading Susan to me and Wicare. I was 31 when I was bereaved with two young children aged four years and two months. I cannot help but wonder how I have managed to come this far. I met Joyce, the founder of Wicare, through a mutual friend about two months after my husband’s passing. All I remembered of that meeting was my watershed of tears as I narrated my loss to her. Joyce showed me pictures of other young widows who were fellowshipping together. I felt a need to meet them. I had so many questions for them. I wanted to know how they managed to move on, how they coped with loss, how they continued their lives without their spouses. I felt uncertain about my future. It was a Christmas Eve and I remember bringing my four year son along. As I stepped in, I saw many unfamiliar faces. What struck me, however, were faces glowing with joy and a genuine happiness in the room. I could not understand. Did they not lose their husbands and their children, their fathers? How could they still laugh and make merry? How could they still enjoy life? How did they overcome their grief? When will I feel happy again? How can I continue my life without him? How can I bring up my children without him? Who can I rely on now? As they started to share their stories, I began to realise that I was not very different from them. For some, the years had passed but the memories still felt recent and painful as they shared their experiences. At the end of the teary but therapeutic sharing session, I found hope and courage, and knew that one day I would be like them too. Although I could not go back to my old life, I felt open to the possibilities ahead. I looked forward and actively participated in all Wicare gatherings and activities. I was comfortable to talk and share my emotions with my Wicare friends. I did not need to fret about my identity as a widow nor worry about conversations concerning the bereavement. It is still hard sometimes. There are days when the exhaustion is overwhelming, especially during the children’s birthdays or school functions. But I can gladly say I can now laugh wholeheartedly and be happy for who God has made me to be. I thank God for His faithfulness and bringing Wicare and so many friends into my life. I now live life to the fullest. We had no choice about becoming widows but we do have a choice about how we live the rest of lives. I am very thankful to Wicare for supporting me after my husband passed on in 2012. The loss of my husband was indescribably painful. In Wicare, while our backgrounds and ages may be different, we share a connection through our loss. Through the years, I have made many new friends, taken part in many Wicare activities. Through attending Wicare’s Circle Time sessions, I have come to realise that the emotions of ups and downs that I experienced were normal. I have also learnt that there is no need to rush and that I can live life at my own pace. I am very grateful to Wicare for showing me the importance of taking care of myself and that I can be strong and life can move on with hope. I know that I can always count on them for support as I adapt to my new life. I know I am not alone, Wicare is my new family. My husband and I lived with his brother and his wife in a 3-storey bungalow when we got married in 2006. I was a Malaysian PR then. Both of us worked for his brother at a furniture factory in Sungei Kadut. 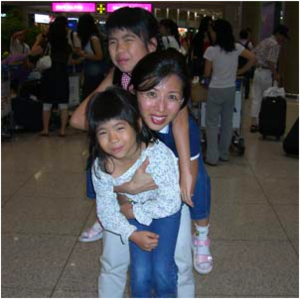 In 2008, I became pregnant with my daughter. In 2012, my husband was diagnosed with Stage 3 throat cancer. As his condition deteriorated, he stayed at the Assisi Hospice before he finally passed on eventually at the hospital. When he died, I was made to leave my brother-in-law’s household with my young daughter. We were offered alternative accommodation instead at the wooden shed in the factory compound, where I worked as an upholstery sewer. I could hardly make ends meet, with my take-home pay of $450. Living conditions were so poor at the wooden shed, that my daughter was not only constantly bitten by mosquitoes and pests, she became very sickly. At my wits end, totally lost and with no hope for life, I contacted Wicare through an article that I came across in the Ming Pao newspaper. I was even suicidal but the thoughts of my young 3-year old daughter being all alone stopped me. I was visited by 3 ladies from Wicare. The Wicare Support Group quickly swung into action, helping me appeal to the Member of Parliament (MP) for a rental flat as well as to the Immigration and Checkpoints Authority (ICA) to obtain an application for a Singapore citizenship as well as to HDB, where in order to get the rental flat quickly, I had to give up my HDB application with my late husband. Today my life has changed completely, thanks to Wicare. Not only has Wicare given me the opportunity to meet people from all walks of life through monthly events and gatherings, they have given me a voice. I now have the confidence and hope to live on. I want to take on new challenges to prove myself that I can build a brand new life for myself and my daughter. I now attend English classes and have obtained a childcare subsidy for my daughter. I am very grateful to the Singapore government and the financial support Wicare has given to me and my young daughter. But I am most appreciative to Wicare for supporting me emotionally by being my friend; I know I can always call them when I need advice or a listening ear. Being brought up in a Christian household, I was told and taught that God has blessed us beyond measure and that we should be grateful for everything there is in our lives. Growing up, there were probably a million and one other lessons that I learnt about God and who He is and what He has done, but boys being boys, how often did we listen? Even if we did, how much did we really understand? Everything I knew about God went to my head, not my heart. I knew all the Bible tales. All the awesome stories of the Majesty, power and grace of God; of the innumerable miracles that Jesus performed; of the convicting and transcending power of the Holy Spirit. So what? None of that actually came to mind or mattered – until my father died. They say that there are no words that can describe the pain of losing someone. I can confidently say that that is a lie. There were so many words to describe how I felt at that moment when I got the call that he passed away in hospital. I felt so completely and utterly lost and betrayed, disbelieving of what had just transpired. An endless list of emotions comes to mind every time I lie in bed thinking over all the things I didn’t get to say to my father, or all the nasty things I did say to him or about him. It isn’t about not having the words to describe the pain; it’s about not being able to find the right ones to quantify and justify the death of your father. But that’s just human nature. We need to have an answer for everything; we need to be in control, albeit in a perceived manner of control and power over our circumstances. For the next few years, I repeated the mantra of ‘God is in control; He has a plan’. That was how I justified to myself that losing a father at the age of 11 was ‘okay’. Fact of the matter is, I was too young to truly be ‘okay’ with it. Truth is, I didn’t find peace with it until I was 15 or 16. It was during that time of understanding and navigating the schizophrenic social nuances and challenges of adolescence did God’s love and mercy truly sustain me. And it wasn’t by chance either that I came to be in the Wicare community. After my father passed, I found my way into a Wicare’s Wifilles programme somehow (in retrospect, it was all God’s plan). I wouldn’t say that the program or the people that facilitated all the discussions and activities cured the pain and helped me find the peace and resolution that I was looking for. After all, only God can heal. By his grace though, it really did make the journey a whole lot easier. The all but subtle knowledge that I wasn’t alone in this, literally, was a comfort, and it is by His grace and providence that I ended up being good friends with all of the other children who had to go through the same trial. Despite all our different personalities, they certainly are pillars of strength; friends I can count on at all times. Perhaps, one of the most important lessons I learnt from my time in Wifilles was that God truly is the only one we can count and rely on. Psalms 46:1 says that “God is our refuge and strength, an ever-present help in trouble”. There were many times in the years following my father’s passing that left me feeling lost, hopeless and betrayed. I often felt terribly alone, and that no one understood the pain that I had been and was going through. Wicare/Wifilles understood however, and in those moments, I realised how blessed I was. I saw children who had to grow up their entire lives not having a father figure beside them. I saw women who had to carry the weight of their own world and their children’s worlds on their two shoulders. Through the eyes of the world, this group of the fatherless and the widowed should be seen as being in a terribly sad and dire state. But I didn’t see it that way. God opened my eyes and showed me that He lived in all of us. His Holy Spirit was alive in everyone’s brokenness, and it was the Holy Spirit that acted as the glue that helped all of us bond together whilst going through a common crucible. I did not see women and children that were to be pitied by society, but rather, women and children who were strengthened and made strong by the grace and mercy of God. God did not come down to earth, touch my heart and remove all the pain of loss and reveal his glory in an instant, but he did do it through Wicare/Wifilles. He provided a group of people that knew the very unique pain that each one of us had - and allowed each of us to depend on one another for support and trust. He showed me that through Him, broken people can be used so powerfully. In Him, I found the confidence to grow and serve Him, through the example of Wicare. Psalms 68:5 says that our God is “a father to the fatherless” and “a defender of widows”. WiCare helped me not just to learn of these verses, but to believe wholeheartedly that our God truly is our solid Rock and our Fortress. My late husband fought two years of cancer and departed in 2006, leaving behind two daughters aged 6 years and 8 years. I was 34 years old. Immediately after his burial, it did not rain but storm. Heaps of execution tasks, followed by mobile phone corroded, computer crashed, gate broke, plumbing system overhauled, washing machine and refrigerator spoilt – all took place at no mercy. I was deeply distressed and paralysed by the demands. I received my first comfort from Wicare’s flyer, when I read that agitation and anger was normal and is part of grief process. When I was first introduced to a group of young widows, I was taken aback to see them. I thought to myself, I would never know this side of the world existed had I still been married. Joan took time to journey with me patiently through the initial years. Her ability to see long term has motivated me to see things positively by and by. Joyce motivated me by her insights many times. She turned my life around when she taught us a truth about it takes just one person in the family to change, and everyone in it would be fine. Poh Hong taught me unforgettable skills, to be able to see through our children’s eyes how they look at us. Wicare continues to organise many professional talks and I benefited from many. One of which had made a turning point in my life was by clinical psychologist Mr Danny Ng whom he taught us to bond with my young children now rather than later. The firefly tour in JB gave me courage to travel with my girls for the first time after the loss. After 3 years, at New Chapter Weekend, I received immeasurable benefits – not only a series of let goes finally took place in my life, I learnt serenity, sorrow is not a bad thing but to be endured and sweetened by and many other positive truths. At the end of the two days, I was enlightened that God can piece up our broken pieces into a rainbow. I was rejuvenated with hopes again. Wicare had witnessed and helped every stage of my grief process till acceptance. Today, no doubt my struggle as a solo mum remains ever present with busy schedule and financial challenge, I am strengthened to move on because I know there are many others in the same boat who will journey alongside to spur each other on. “Two weeks after my husband passed on, a colleague brought Susan to visit me at home. I was encouraged by her sharing and how Wicare had helped her. At Susan’s invitation, I started to attend activities organized by Wicare. At the first session, I met widows of different ages and family situations. Some were recently widowed (like me) while others had walked the path for many years. I was deeply encouraged by the hope and joy exhibited by many. Through the widows I met that day, I found renewed hope in life. I told myself; “if these ladies can do it, so can I”. I went home from the event with a new found hope that I can find joy in life again. I also started to feel less alone, seeing that there were others in the same situation as me. Many lost their husbands under very tragic circumstances and it helped me to realize that I should not indulge in self-pity. I continued attending Wicare sessions and benefitted from the practical advice given by other widows who were also single-handedly raising their young children. Wicare helped me to find hope in life again, gave me practical advice for daily challenges, and most importantly, I made many lifelong friends in the process. It’s been four years since I was bereaved at age 31 with two children aged four years and two months. I can’t help but wonder how I have managed to come this far. As memories start to flow into my mind, I can only thank God for how He has pulled me through the darkest period of my life. Through a mutual friend, I met Joyce (founder of Wicare) for the first time at the Wicare office about two months after my husband’s passing. All I remembered about the meeting was I was crying and crying as I narrated my loss to her. During the meeting, Joyce showed me pictures of other young widows who were fellowshipping together. I told myself that I wanted and needed to meet them. I had so many questions for them. I needed to know how they managed to move on, how they coped with the loss, how they continued their lives without their spouses. To me, all these were impossible situations. To my delight, Joyce told me that the ladies were meeting on Christmas Eve for a celebration. I readily agreed to join them. I brought my four year old son along with me. As I stepped into the function room, I saw many unfamiliar faces. These faces glowed with joy and there was happiness in the room. I could not understand. These women had lost their husbands and the children had lost their fathers, how could they still laugh and make merry? How could they still enjoy life? How did they overcome their grief? I had so many questions for them. After dinner, all of us sat together in a big circle, while the children went to the playground. My son followed the older brothers and sisters. They helped to take care of him while I sat with the mummies. At that time, I really, really could not see myself smile or be happy again. I felt that there was no way or no reason for me to be happy ever again. I had lost all hope in life; I had lost a confidante, a soul-mate, a loving husband. He was everything I had and everything I needed. As each of them started to share their own loss, I began to realise that all of us were in the same boat. For some, many years had passed yet the memories were still painful as they started to recall their losses. I felt very grateful to the ladies for sharing their stories to encourage me. Although it was painful for them, they shared their loss with me, so that through their experiences, I can find hope and strength. At the end of the teary but therapeutic sharing session, I found hope and courage, and knew that one day I would be like them too. I continued to join the gatherings and activities from then on. I found much joy in those sessions as I felt comfortable in their company. I did not need to fret about my identity as a widow nor worry about conversations concerning the bereavement. I learnt so much from the ladies. They taught me how to deal with my emotions, handle daily struggles and gave me many practical parenting tips. As times passed, I started to paint new pictures for my life and build new beginnings with my children. I started to move on and live out my life to the fullest. While there are still moments of sadness especially on occasions like the children’s birthdays or school functions, I can gladly say I can now laugh wholeheartedly and be happy for who God has made me to be. I thank God for His faithfulness and bringing Wicare and so many friends into my life. I am very thankful to Wicare for supporting me after my husband passed on two years ago. Through attending the Circle Time sessions, I have come to realize that the emotions of ups and downs that I experienced were normal. I made many new friends, took part in the activities and learnt that I am not alone. Many other ladies of diverse ages and backgrounds share the same situation as me and I can count on them for support. I also learnt that there is no need to rush and that I can live life at my own pace. I am very grateful to Wicare for showing me the importance of taking care of myself and that I can be strong and life can move on with hope. When I got married in 2006, my husband and I lived with his brother and his wife in a 3-storey bungalow since I’m a Malaysian PR and both of us work for his brother at his furniture factory in Sungei Kadut. After two years I got pregnant in 2008. In 2012, my husband discovered he got 3rd stage throat cancer, he was 56 years old. He went through surgery and after 1 year 2 months he stayed at the Assissi Hospice. When my husband passed on at the hospital, I was asked to leave my brother-in-law’s household by my sister-in-law. As I was working as an upholstery sewer at their factory, they suggested that I stay at the wooden shed in the factory compound. My daughter’s and my belongings were brought to the hut and we had to pay $300-$500 for PUB per month. My take-home pay became $450 and I had to pay $288.30 for my daughter’s child care centre at Chao Chu Kang. During the 6 months stay at the windowless wooden shed, my 3-year old daughter was constantly bitten by mosquitoes and pests, suffered from flu and was sickly. I came to know of Wicare in a Min Pao article so I called the telephone and 3 ladies from Wicare came to visit me at the shed. I was totally lost and did not have hope to live. I was suicidal but the thoughts of my young 3-year old daughter stopped me. Wicare Support Group came alongside with me to appeal to the MP for a rental flat, to HDB and even to Immigration Department to get a citizenship application form. I gave up the HDB application with my late husband to buy a flat so that I could get a rental flat with immediate effect with the MP’s help. Thanks to Wicare’s hand-holding, I have gained confidence and hope to live on, realizing that there many other young widows. I made friends at Wicare especially at their monthly events and gatherings, from all walks of life: professionals to ladies who are worst off then me and I’m so encouraged knowing I am not alone. They gave me a voice, helping me to write letters to MPs, HDB and even phone-calls on my behalf. Now I am attending an English course and got a subsidy for my daughter’s childcare centre too. 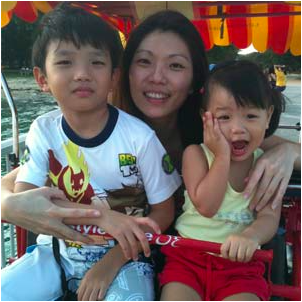 I am very grateful to the Singapore government and the financial support Wicare has given to me and my young daughter. Most of all I am most appreciative to Wicare for supporting me emotionally by being my friend and I can always call them on the phone as and when I need advice or a listening ear.